Astrology in Jewish Thought uncovers the profound connection between Jewish mysticism and classic astrology by citing the many references scattered throughout Jewish literature to the influence of the stars on human destiny. Rabbi Matityahu Glazerson gives a month-by-month rendering of Jewish astrology according to kabbalah, summarizing the complex system of elements in Jewish thought that correlates to each astrological sign. 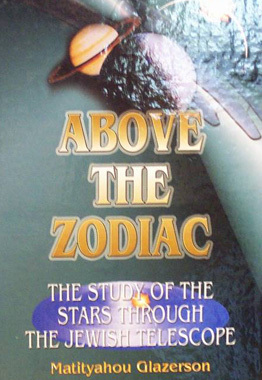 The book also explains the unique relationship the Jewish people have to astrology, and under what circumstances astrological consultations are permitted to individuals. If the video above does not play click here.